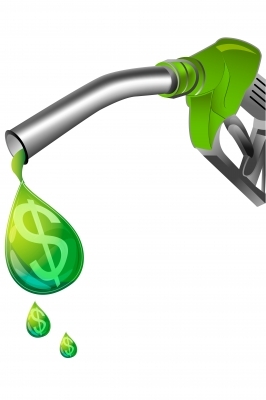 Is your Gas Tank Eating Into your Budget? Didn’t you just fill the tank honey? What do you mean you are on empty already? If you’ve heard these lines before don’t despair, so have I. Everything around us is going up except the numbers in our bank account. In Canada every street corner adorns a petrol station with your choice of price. Take your pick, spin the bottle or take a chance that the station you chose will do the least damage to your budget. How depressing is that? Driving up the road after filling your tank realizing you could have saved $5.00 down the street. It was clear I needed to do my homework before I went a bit nutty. I managed to come across this website where you can check-in on the prices around town Ontario Gas Prices. Sounds great doesn’t it? Sure if you make it there on time but still a great reference. I remember 6 years ago when gas was 75 cents a litre and I thought it was great compared to my mates overseas. When I over-heard people complaining in Canada about how expensive gas was I remember thinking, you ain’t seen nothing yet. In the UK I drove a teeny weeny Ford KA 1.3 litre and it cost me a fortune to fill, about 35 pounds back in 2006 at 2.35 to the Canadian Dollar that’s a whopping $82.25(C). Are you still complaining? How’s that for a bargain? Yeah right. The only perk is endless roundabouts maybe Canada could learn from, less stop and go. No one had the proverbial people carrier or minivan in the UK like most Canadian families. Who could afford to fill the tank unless they had money in the bank they didn’t mind burning. To fill the tank of a Dodge Caravan in Ontario you’re looking at around $75 a tank in 2012. Fill that a few times a month and you might think twice before heading out to window shop on a Saturday or Sunday with the family. When I landed back on Canadian soil in 2006 the glory I once felt at the pump sunk at an exponential rate right into 2012. I’m sure all Canadians can agree we work to fill our tanks. On many occasions I’ve set out across town only to find out the price had changed on what was a sure thing. So, I have to ask myself is it really worth it for the 2 or 3 cent difference at the pump to chase the $$$ dream. But Wait.. that’s not all folks! It gets better! Did you know you could even get coupons sent to your email from Canadian Tire for x amount cents off the pump price? Wow, what a great deal, bet you didn’t open that email right? Well I did and I’m happy to say I saved myself the trek across town and a few cents at the pump just for printing a coupon. Is this the new way to get cheaper products now. There really is a coupon for everything. Perhaps the end may be near for Canadian Tire Money from our wallets we welcome the weight of coupons to take its place. Do you know most families Price Match now? Note to Retailers: If you haven’t seen me around lately it’s because I’m spending all my money at the store that accepts all coupons and price matches! Get a load of that! One stop shopping and saving time, fuel and money. Maybe that’s why Sears has finally woken up and has slashed prices on thousands of items. How else can you compete with the big box retailers like Wal-Mart? Canadians just don’t have the money to pay for over priced items any more. Credit Cards and lines of credit cannot be the third income in a family. It has to stop Canada! We all need to start budgeting and using our heads with our finances. No one will feel sorry for you,not even the credit companies. Some tips I can offer to help take a load off your budget while filling the gas tank might seem redundant but is necessary for fuel economy. Maintenance is very important. Make sure your spark plugs are checked and all fluids are topped up for best fuel economy. Ensure tire pressure is checked often especially in the winter or change of season. Not enough air in your tires makes your vehicle work harder and costs you more money. You might also want to make sure your tires are up to snuff otherwise you may need to buy new ones. Check on-line websites for up to date gas prices in your community to get the best bang for your buck. Use loyalty programs at your local petrol stations for free gas or in-store items. Don’t make frequent trips to the station, if you need to fill it, then fill it once. The more trips you make the more money it will cost you in the long run. Don’t start your engine in the winter and let it idle for too long just to warm it up, this costs money. Use your cruise control on flat highway trips and drive at a consistent speed in the city. When you accelerate up and down, your gas tank goes down, down, down. Plan your shopping trips in advance. If you know you are going to the dentist on Monday plan to do all your shopping on Monday instead of making another trip out. I’m sure there are many other tricks to saving at the pump but those are some that I follow with our vehicles. My last tip is to shake it until it’s empty- the gas pump that is, because you’re paying for it. You can find me on Facebook HERE or Twitter HERE. come join the conversation. Til Death Do Us Coupon- Are you doing it? Follow on Twitter @CanadianBudgetB and subscribe to our E-mail or RSS feed. Product Price Adjustment: Don’t Miss The Savings! Gasbuddy which is an app for my Android phone tells me what the prices are for gas near where I am at the time. I used it driving from Tweed to Kingston the other day and it pointed me to an independent station in Shannonville where the price was – get this – 12 cents lower than Petro Canada where I usually go (because I have a cc which gives me a discount of 2 cents! We bought our current home with the cost of driving in mind. We live less than 2 km from almost everything we need…except my office. It’s 17 km from our house. In order to support my drive to work, we are careful to limit our leisure time driving. We walk as much as we can. We have a wire cart with wheels in which we haul our groceries and we manage virtually all of our in-town errands on foot. We have only one vehicle, so we purchase a monthly bus pass for my husband. We save the bus passes and the purchase receipts for them and claim our transit expense as a tax deduction. Transportation still takes a sizeable portion of our limited budget, but these steps do help to keep it within manageable bounds. I thank goodness we can control our gas expenditures to a large extent. Hubby can walk a half hour each way to work, except on the most miserable weather days. We can plan our outings for just once a week and thereby keep our consumption to one tank per month. Sure price increases hurt, but not nearly as much as when I worked and drove 100 km per day. On one income we don’t have the flexibility in our budget to just keep absorbing price increases. If prices go up, we’ll drive less…simple. I drive a truck so I watch the price of gas closely. We can’t afford another vehicle right now so the truck it is. It goes in for regular maintenance and such, usually when we have the tires changed over between regular and snows and the boys at the shop look it over and do what ever needs doing. They are a good bunch and have done good by us for 20 years. They keep an eye on things for us and will tell us if something is not right. Last time they told us we needed new tires for the summer and got us a good deal in the fall, so the new tires were all ready to go in the spring. It is important to have a mechanic or shop that you trust to look after you. Lately we have had a lot of trips out of town for medical reasons so it’s a lot of highway driving so the cruise control gets used then. The A/C is used on the highway and in town I shut it down and open the window. I’ll likely be calling the boys to switch the tires over and check it out for me for the winter next month. And yes we find using snows in the winter does help as we are in the snowbelt. We have and use a block heater so I can just start and go in the winter. I have a site that I check regularly for gas prices. If I’m going into town you can bet I have a list of places to go while I’m there, unless it’s an emergency. I’ll be checking the weather network for weather conditions before I leave soon too so I know if I need to leave early. I keep an ear out to the radio as I go in case there is a traffic slowdown on my way whether it’s construction or a smuck-up so I can steer around it instead of being stuck crawling along in a slow down…. Also last time I looked at prices $1.44 a liter. what matters to me is what I currently have to pay. and for the record I remember when the price was 30 cents gallon!! also look at the prices of fuel in brazil and south america. dirt cheap but look at the roads there too. also they not wasting money on research on neutrino’s and stuff, and nor do they seem to be worried about being bombed. we are being over taxed so the “goverment” can do what “they” want to do with our “money” but then what is new lol. It’s not too bad an option. Sometimes I can find a better deal buying a gift card off of someone on Kijiji, but gas cards are tough and this way you also know the card is already verified (plus, I think they may get the cards at discount from some of the Companies such as the Bay, Esso, Shoppers). But if I know I have a big purchase coming up and I know there is likely no discount on that item, or I know that there is a sale coming and I want to save more, I try to get unwanted gift cards for the stores and create my own sale. I’ve gotten $100 off an ipad, $135 off a pair of Jimmy Choos for my wedding, etc. The examples I list, I realize, are big ticket and unneccesary items that I/we wanted, but that makes it even more important to not pay the huge price for them, as well as on the little, or constant things such as gas. Well it’s good to know they have various types of cards and that they are verified. I never thought to look on Kijiji for gas cards great idea. I would suggest verifying them at the source before you buy anything from someone on kijiji. Cheers. I always buy cards from people meeting them at the store to verify the amount. Once the amount is verified, then I give the person the agreed upon amount. I find, with people on Kijiji, my percentage saved is around 15-20%. With cardswap, its usually 3-5% for things like gas, Shoppers Drug Mart, etc. I wish I could get 15-20% discount on kijiji on gift cards. Good for you. I’m going to keep my eyes open for smokin deals like that. Cheers. I use cardswap.ca to save 2-3$ on a 100 gift card so I give myself that .02 off a liter. It’s not much, but it’s something! I’ve heard of card swap but never purchased anything before. I will go and check it out. Cheers. Reblogged this on Hanuman Capital. I have a bank account with PC Financial strickly for my gas & groceries. When you fill up at the Real Canadian Superstore gas pump and use your PC financial bank card – you get .07 per litre back in coupons for the Canadian Superstore – then use that to pay for your groceries after coupons of course. So for me- everytime I fill up my minivan – I get approx $5- $6. When I fill up the Kia soul – I get approx $3.00. So for us it is worth it to buy gas there! My husband has to drive 1-1 1/2 hrs to work every day so we go through a lot of gas – it’s nice to get something back.